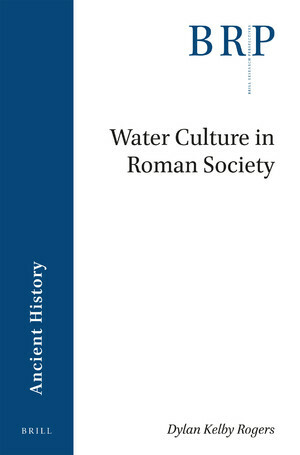 Dylan Kelby Rogers, Water culture in Roman society, Leyde, 2018. Water played an important part of ancient Roman life, from providing necessary drinking water, supplying bath complexes, to flowing in large-scale public fountains. The Roman culture of water was seen throughout the Roman Empire, although it was certainly not monolithic and it could come in a variety of scales and forms, based on climatic and social conditions of different areas. This article seeks to define ‘water culture' in Roman society by examining literary, epigraphic, and archaeological evidence, while understanding modern trends in scholarship related to the study of Roman water. The culture of water can be demonstrated through expressions of power, aesthetics, and spectacle. Further there was a shared experience of water in the empire that could be expressed through religion, landscape, and water's role in cultures of consumption and pleasure.